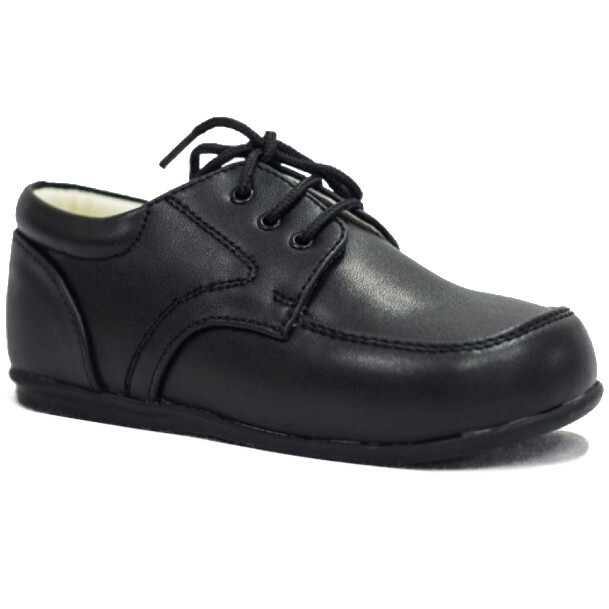 Boys black matt formal royal lace up shoes, perfect for your little boys christening day, attending a wedding or simply a special occasion. These lovely formal shoes are of a black plain matt. They have a lace up fastening with a hard sole for walking toddlers / children. So please with these shoes, I couldn't find any other shoes suitable for a pageboy. Excellent packing and delivery service.